As senior vice president in charge of research and development for the Americas region, Carla Bailo will be the highest ranking woman in Nissan's North American corporate ranks. Nissan Motor Co. has named Carla Bailo to the post of senior vice president in charge of research and development for the Americas region. Bailo, 50, most recently was based in Japan and was in charge of Nissan's relationships with automakers other than Nissan alliance partner Renault SA. She also was program director for Nissan's dramatic global profitability recovery campaign in 2009 after it dipped into financial losses for the first time in a decade. The appointment, effective April 1, will make Bailo the highest ranking woman in Nissan's North American corporate ranks. 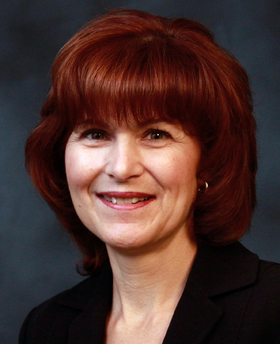 She will replace Motohiro Matsumura at Nissan's suburban Detroit Farmington Hills, Mich., technical offices. Matsumura, who currently holds the additional title of president of the Nissan Technical Center North America, is returning to Japan for a new assignment. The title of technical center president has been phased out. In her new role over r&d, Bailo will oversee an expanding mission for Nissan. In addition to the usual flow of model redesigns and launches in North America, the U.S. r&d arm is taking on added products, including the Rogue crossover and Leaf electric car, and is responsible for introducing new models in markets like Brazil and Chile. Prior to her new appointment, Bailo also was program director in charge of Nissan's worldwide SUV profitability. She started with Nissan in 1989 as a vehicle testing engineer recruited from General Motors.